The Pentagon shot down a claim by the Islamic State that it killed a U.S. soldier in Afghanistan Monday. Al-A’maq, a news agency for the insurgent force, claimed ISIS fighters killed an American and wounded seven Afghan soldiers in a battle in the Deh Bala area of Nangarhar province, Afghanistan, according to translations done by the Washington-based Middle East Media Research Institute. “I can confirm there were no United States Forces-Afghanistan service members killed in Nangarhar in the last 24 hours,” Capt. Tom Gresback, director of public affairs for Resolute Support, told Military Times. “As the Afghans defeat the enemy in Nangarhar, we continue to receive daily reports from the insurgents of their successes. Those claims are false,” he added. The Islamic State offshoot, known as ISIS-Khorasan, or ISIS-K, claimed in their news release that a joint attack by Afghan and U.S. forces on the villages of Jaharwazi and Mariz was repelled by insurgents. “The clashes resulted in the death of a Crusader soldier and the wounding of seven apostates. The rest fled and managed to survive,” ISIS-K alleged in its statement. Resolute Support did not collaborate that sequence of events. 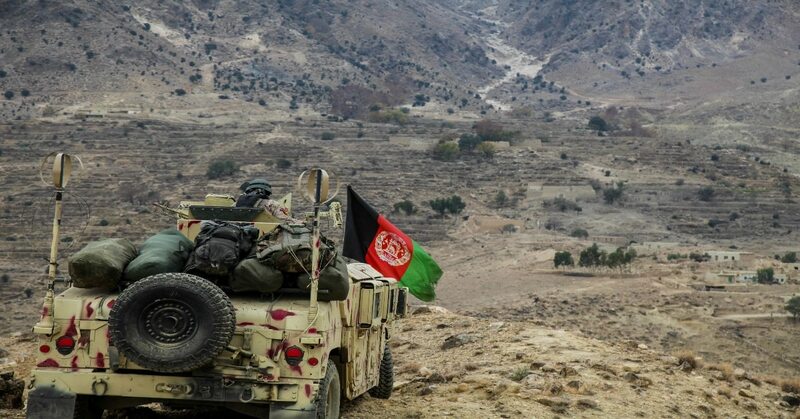 However, “the Deh Bala and Achin districts of Nangarhar continue to be a very active combat environment as the Afghan National Defense and Security Forces drive [ISIS-K] and the Taliban from their fighting positions,” Gresback said. Nangarhar is one of the deadliest provinces in Afghanistan. There, U.S. special operations forces are known to conduct dismounted operations and airstrikes against both Taliban and ISIS-K insurgents. The last death in the province was Sgt. 1st Class Mihail Golin, a Green Beret from 10th Special Forces Group, who was killed in a firefight during a foot patrol on New Years Day. The uptick in violence has been attributed to a shift in U.S. policy. In August, the Trump administration loosened the reigns on U.S. forces in the region, giving them a wider berth to attack insurgents downrange. Nikki Haley, the U.S. ambassador to the United Nations, said Jan. 17 that the new strategy is working.